Imagine if you could pick up Celine and cereal in one fell swoop. 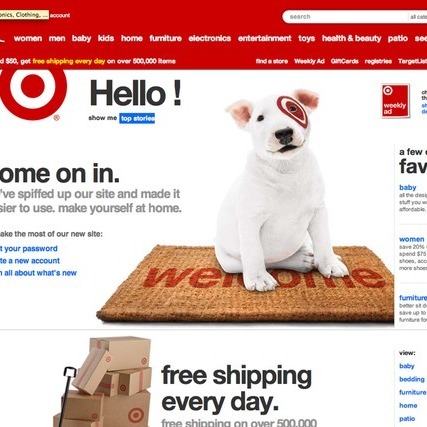 Target is doing away with their Go International collaboration model — the platform responsible for many their designer collections, like Tracy Feith and Zac Posen* — and replacing it with a regular rotation of shop-in-shops, fittingly titled “The Shops at Target.” It’ll work like this: Every two to four months, Target will bring in a new fleet of high-end stores to sell more affordable versions of their regular merchandise. Their first batch of stores will include The Webster (a high-end Miami store that stocks designers like Givenchy, Yves Saint Laurent, Celine, and Balenciaga — although it’s not clear if those brands will be offered at their Target installation), The Candy Store, Cos Bar cosmetics, Polka Dog Baker (fancy dog accessories! ), and Privet Home. The stores will stay at Target for six weeks before they’re replaced by new ones. This new partnership model will allow Target to broaden their collaborations to new product categories beyond fashion (like food, cosmetics, pet products, and goodness knows what else). It’ll also allow them to offer more stuff, period. The first five stores will sell over 400 products between them; previously, even Target’s biggest collaborative collection to date (Missoni) only offered 88 pieces. And while they’ve officially discontinued the Go International program, Target says they’ll still occasionally collaborate with designers on regular merchandise. In other news, they’re going to start selling Apple products, too — woo hoo. A few things still remain unclear, like when The Shops at Target will kick off, what exactly they’ll be selling, or whether those things will also be available online. We’ll keep you posted as more information comes to light. * This post has been corrected to show that Target’s Missoni and Jason Wu collections were not part of their Go International collaboration program.